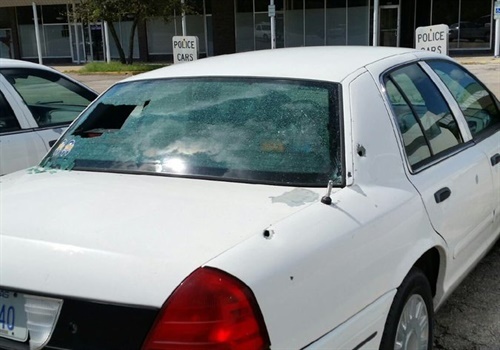 Officers with the Kansas City (KS) Police Department were able to identify and arrest a man who is suspected of shooting at two parked KCKPD squad cars at the department's Traffic Support Unit. Image courtesy of KCPD / Twitter. Officers with the Kansas City (KS) Police Department were able to identify and arrest a man who is suspected of shooting at two parked KCKPD squad cars at the department's Traffic Support Unit. According to KMBC-TV, no officers were injured.